A ShelterBox Response Team is in southern Africa after Cyclone Idai caused widespread flooding in Malawi, Zimbabwe, and Mozambique, affecting more than one million people. According to the UN, this devastating cyclone may be the worst disaster to ever hit the Southern Hemisphere. Floodwaters remain high. Cholera outbreaks from dirty water are reported. Conditions are crowded and cramped at evacuation centers, putting people at increased risk of disease, violence and even trafficking. Our team is on the ground working with local partners, including Rotary International and Habitat for Humanity, to deliver emergency shelter and other essential items, such as water filters and mosquito nets. You can help send shelter and life-saving aid for families who are now homeless. 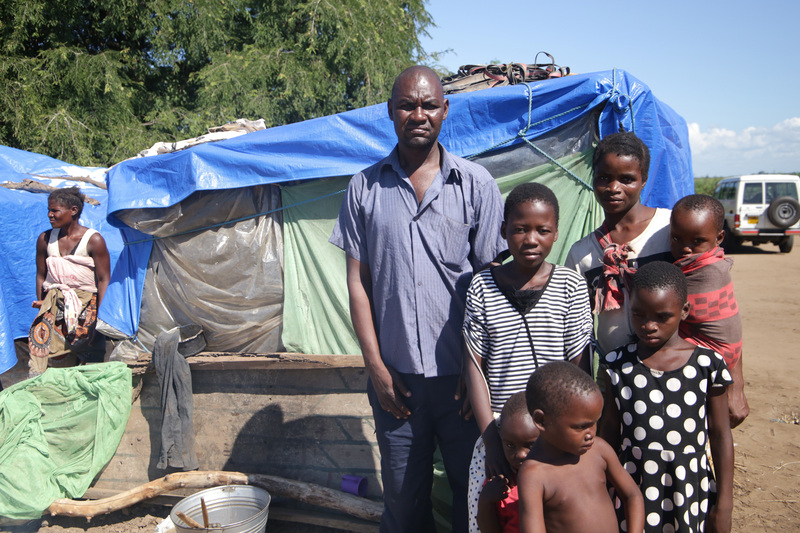 Kapitapita was forced to flee his home with his wife and six children after Cyclone Idai swept through the region of Chikwawa and completely destroyed his home. Along with almost 36,000 other people that were displaced from his community, Kapitapita and his family fled to a nearby host community. There they have been able to create a makeshift shelter with scrap materials and a tent. However, they will soon have to move because someone else owns the land they are living on. Kapitapita and his family long to move back home and rebuild their community with their friends and neighbors. But, it will be a long recovery because the floods took everything from them. Read more. 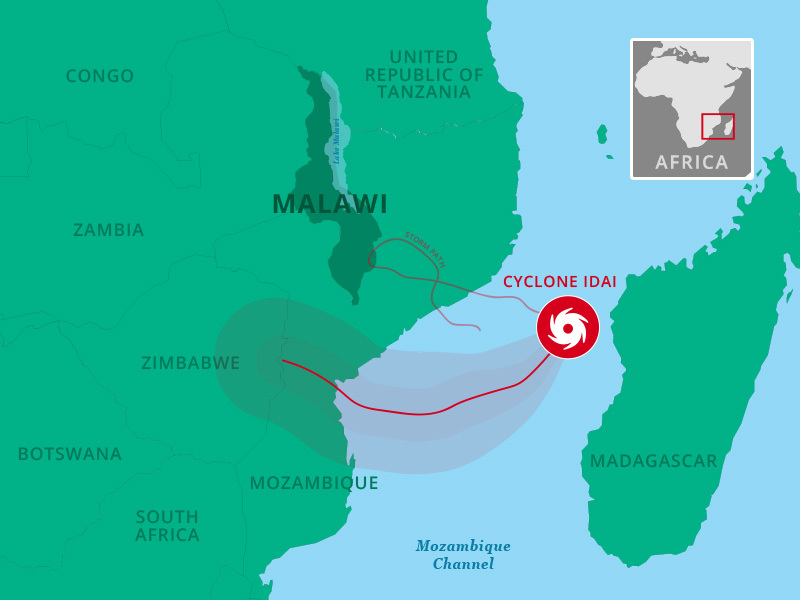 Cyclone Idai made landfall on March 14, bringing winds of over 100 mph and heavy rains. As lines of communication are cut and many areas are still heavily flooded, a picture of the number of people affected is still emerging. Estimates are that almost one million people have been affected and at least 125,000 have been forced from their homes in Malawi alone. We’re also watching other weather systems building in the region, which could cause further damage. Rotarians on the ground are often our first point of contact after disaster, and such is the case with this response. Rotary District 9210 is the most affected district, covering Malawi, Mozambique and Zimbabwe. Our ShelterBox team met with the 9210 District Governor Hutchson Mthinda and Past District Governor Stallard Mpata, both from the Rotary Club of Lilongwe, to discuss plans. To assess damage to homes and understand what support families will need for recovery as the floodwaters recede, we have also been in touch with the Rotary Club of Limbe in southern Malawi. This club has supported a previous ShelterBox response to flooding in 2015. 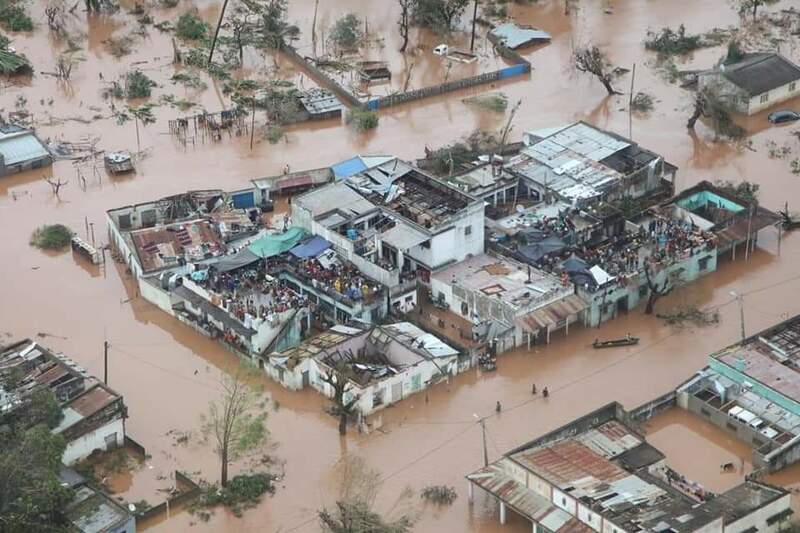 We have been closely monitoring the impact of the flooding and cyclone across the whole region, which has also affected Rotary District 9400 (covering South Africa, Botswana and, crucially, Maputo in southern Mozambique). We are in regular contact with Past President Bruno Maximiano do Amaral of the Rotary club of Polana in Maputo, who has worked with our teams previously and is ready to offer assistance, if required. Since ShelterBox was founded, we have grown from one club’s adopted project to Rotary International’s only Project Partner in disaster relief. Rotary helps us to go further, support more people and access areas that would otherwise be impossible to reach. People awaiting rescue on rooftops in Beira City, Mozambique shared by Rotary 9210 District Governor Hutchson Mthinda. Right now, there are tens of thousands of families in Malawi who desperately need support to recover. We have previously responded to floods in southern Malawi in 2015, where we worked closely with local Rotary clubs to support families that lost so much. 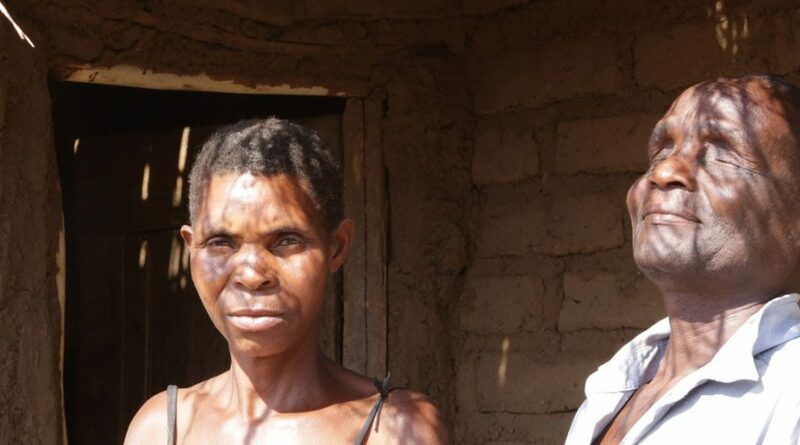 With your support, we helped families like Mary and Enoch’s rebuild their lives after the floods. With the security of the sturdy ShelterBox tent to protect them from the elements, they were able to start looking to the future. Read their incredible story here.